My friend Linden who lives in the United Kingdom sent me this recipe for chicken pot pie for me to share with my readers. I hope you enjoy it as much as I did. And as she says, “Yum! 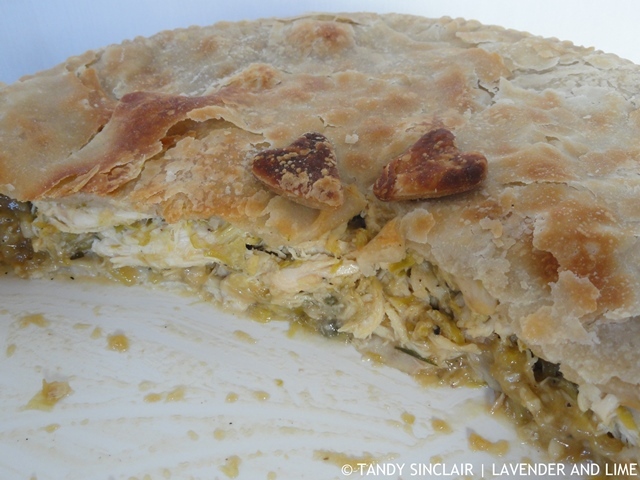 !” This Recipe For Chicken Pie is easy to make so please give it a try! Braise chicken breasts in chicken stock and cider for 40 mins. Lift out the chicken then add to the stock the leeks and peas. Cook for 4 minutes. Drain and mix with the diced chicken. Reserve the stock and make up to 1 pint with water. Slowly add the stock and simmer until thick. Lay out the chicken and vegetables in a 2pint casserole. Cover with a puff pastry lid and bake for 35 minutes until golden brown.